More than two decades ago, the authors agreed that the health care environment was experiencing evolutionary, and in some instances revolutionary, change and that only a structured strategic management approach, recognizing the value of strategic thinking, would make sense of the environment. 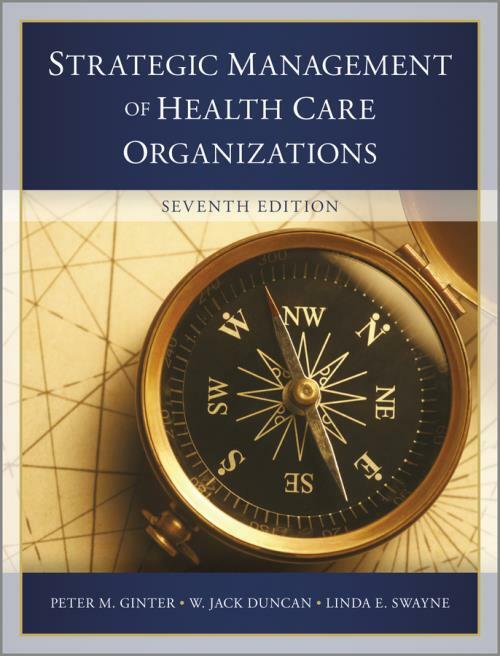 Strategic Management of Health Care Organizations (1st edition 1992) became the leading authority in the US a highly successful text demonstrating the thought processes and activities for health care managers to become strategic thinkers with the critical skills to evaluate their fast–changing environment. Health care leaders have found that strategic thinking, strategic planning, and managing strategic momentum are essential for coping with the dynamics of the health care industry. Strategic management has become the single clearest manifestation for effective leadership of health care organizations. Now in its 7th edition, Strategic Management for Health Care Organizations continues to advocate the importance of strategic thinking and clearly differentiate strategic thinking, strategic planning, and managing strategic momentum. These concepts represent the central elements of a complete strategic management process. The new edition provides cases on line, providing for the greatest flexibility for faculty and students and continues the streamlining of the text begun in the 6th edition. A fully revised and improved website is available containing student questions as well as instructor materials. An Introductory Incident begins each chapter to provide a practical example of the concepts discussed. Learning Objectives direct attention to the important points or skills introduced in the chapter. Models, examples, and exhibits are included to assist in learning chapter material. The Map and Compass provides a useful metaphor for conveying the view that strategic leaders must both plan as best they can but also learn, adjust, and establish new direction (develop a new plan) as they progress. Perspectives in each chapter are drawn from actual health care organizations experiences or emphasize recurring themes and abiding truths and are useful to augment the content of each chapter. These sidebars are designed to enable the student to relate to particular concepts presented in the chapter. Lessons for Health Care Managers serve as chapter summaries and highlight the most important lessons to be taken away from each chapter. Health Care Manager s Bookshelf introduces classic and popular books that have particular relevance to the strategy topic discussed in the text. Books were selected on the basis of their importance to present and future health care managers and included because they either represent a classic contribution to the field or provide potentially trend–setting information for strategic health care managers. In addition, the questions for class discussion and key terms continue to guide users of the text and a fully updated and improved Web–based Instructor s Support is available. The support includes PowerPoint slides for each chapter, chapter lecture notes that include suggestions for effective teaching, and answers to the end–of–chapter questions. The Instructor s Support also contains a true/false, multiple choice, anddiscussion questiontest bank. Through their own teaching, research, and consulting in the health care field, the authors have applied the process outlined in this text to physician practices, hospitals, local and state public health departments, long–term care facilities, social service organizations, and physical therapy practices.